Cambridge University Press, 9780521339384, 792pp. Completely revised and updated, this new edition of the popular and highly regarded textbook, Applied Geophysics, describes the physical methods involved in exploration for hydrocarbons and minerals. These tools include gravity, magnetic, seismic, electrical, electromagnetic, and radioactivity studies. All aspects of these methods are described, including theoretical considerations, data acquisition, and data processing and interpretation, with the objective of locating concentrations of natural resources and defining their extent. In the past fourteen years or so since the writing of Applied Geophysics, there have been many changes in the field of exploration geophysics. 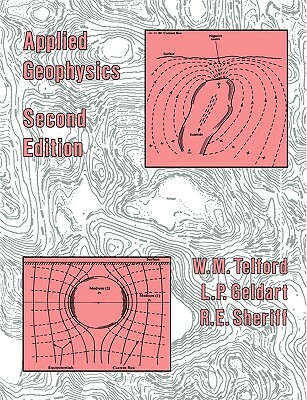 The authors give full treatment to changes in this field, which include improved techniques for calculating gravity fields, the use of proton-precession and optically-pumped magnetometers, improved quality of seismic data, magnetotelluric as a practical exploration method, new electromagnetic exploration methods, the use of gamma-ray spectrometers in radioactive exploration, and improved well-logging techniques. The intent is to be practical, and thus many actual examples and problems are given. Moreover, wherever possible in this edition the authors adopt the use of Systeme Internationale (SI) units, which were not in standared use at the time of the first edition. The reader needs only a general background knowledge of geology, physics, and mathematics. Most of the math can be skipped by those interested only in the results. Advanced mathematical concepts are explained in the appendix.